I’m an archaeologist, and I’m a musician. My archaeological travels have taken me to the Etruscan sanctuary of Poggio Civitate in Tuscany, to the Isthmus of Corinth in Greece, to a Creole farm on the banks of the Mississippi, to a Hopewell settlement in a Kansas cornfield, and to the North Dakota Badlands as part of an Adventure Science team to survey the state of cultural heritage sites in light of the Bakken oil boom. In every instance, I’ve used the Munsell Soil Chart in my work for not only reading soil color, but also for quantifiably describing the color of the clays used to make the vast amounts of pottery sherds discovered on excavation. In my current position as Director of Publications for the American School of Classical Studies at Athens (ASCSA), I publish the work of fellow archaeologists. 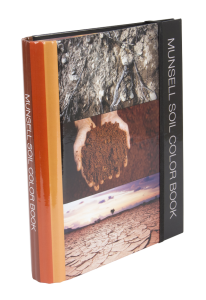 My first purchase for the office was a Munsell Soil Book. I couldn’t believe that we’d been publishing archaeology since the 1930s and we didn’t have one on-hand to use as a reference for color images, and to check proofs of those images against what an author describes in her text. We use our book regularly. I don’t know how the press got along without it. So where does the music fit in? 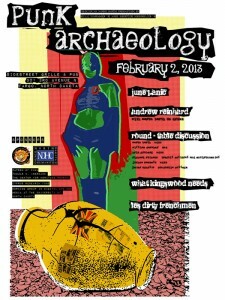 In 2012, my friend and colleague Bill Caraher, an archaeologist at the University of North Dakota in Grand Forks, was putting together an “unconference” on “Punk Archaeology” to be held in Fargo in February. Punk Archaeology embraces the do-it-yourself attitude of Punk, merging it with new ways of thinking about archaeology along with conducting the archaeology of places affiliated with punk starting in the mid- to late-1960s. The “unconference” was held over the course of four hours in a bar because experience has shown us that archaeologists do some of their best thinking on stools, plied with suds, surrounded by colleagues in a setting far outside of the Ivory Tower. Because we would be in a bar, and because we were dealing with all things Punk and archaeological, Bill organized a few Punk bands to play in between archaeological talks, and he asked me to write some music to play at the event. Micaceous inclusions. Grains are fine! Or maybe very fine! I paired the lyrics with three chords of distorted guitar, double-time drumming, and vocals filtered through a megaphone, creating a two-and-a-half-minute love song to Albert Munsell. Listen to it here (soundcloud.com/charinos/soiled). The song is loud and messy and at times inaccurate, just like archaeology, and just like Punk. I couldn’t help but write a tune about one of my favorite things in my archaeological toolkit. Munsell certainly has a cult following among archaeologists. When I told my colleague Sarah Bond, an archaeologist at Marquette University, that I was writing this post for Munsell, she replied, “. . . I want the wallpaper in my new office to just be torn pages from the Munsell book.” You can’t get much more Punk Archaeology than that. 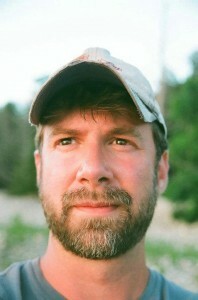 Andrew Reinhard has been described as a “punk archaeologist without borders”. He is currently the Director of Publications for the American School of Classical Studies at Athens, and spends his free time thinking about and writing fiction, essays, and music on archaeology, videogames, and their intersection on the Archaeogaming blog (archaeogaming.wordpress.com) and Twitter (@archaeogaming). He has excavated in Greece, Italy, Illinois, Kansas, Kalmidor, and Tamriel. Download his ancient Greek steampunk novel, Psychonautica, for free here (https://db.tt/8FvNkQ9U).